Right away, we could tell this project was going to be truly special. The 5-acre Milton property	is home to the couple and their two boys, plus	a companionable flock of goats and chickens! This family loves to entertain and their aspiration was to create a sophisticated outdoor living	space to delight their sons and guests. 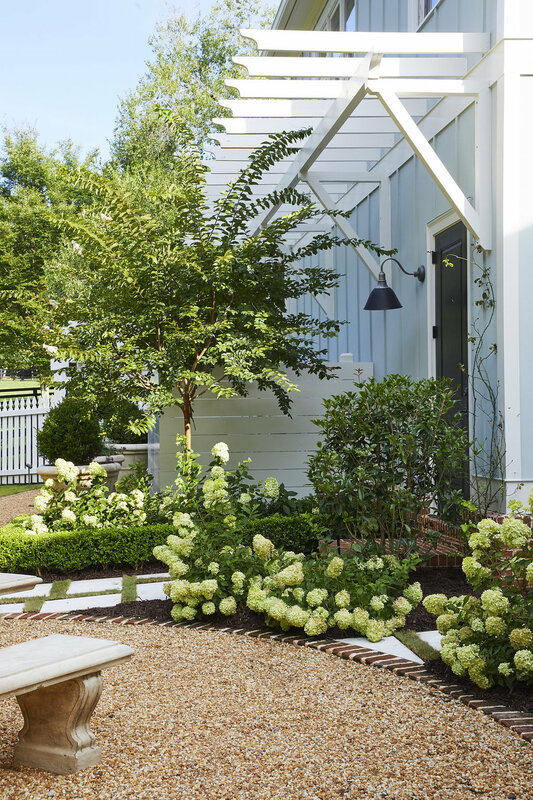 We designed three distinct dwelling areas: pool, outdoor kitchen, and dining garden featuring a pea-gravel patio encircled by hydrangeas. 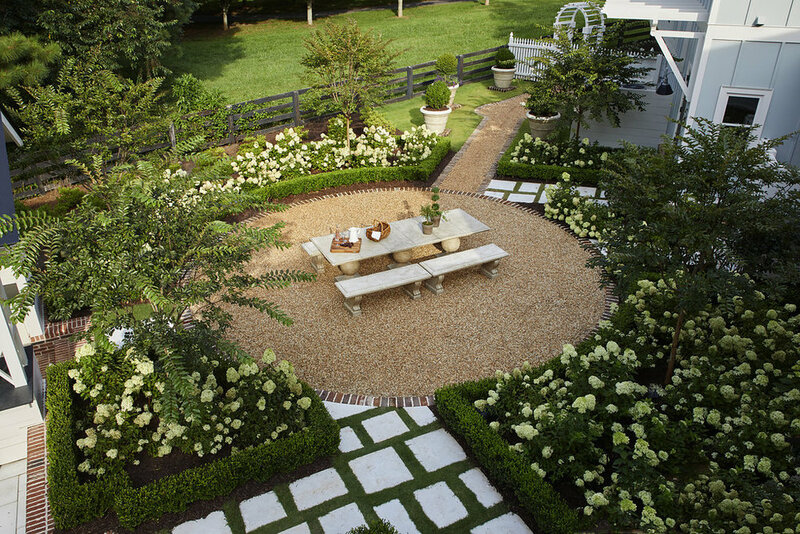 The cast stone table and planters were all made here in Alabama.